Are you working in an IT firm?
" Please be careful while opening pantry doors, because in most IT companies, the pantries are very near to the loo. Researches indicate that only a meagre 4% of the entire loo going population wash and dry their hands as a part of their post-loo process. So next time you touch a door knob in your pantry,do it at your own risk"
Eeeeeow. Dont tell me. But I thought chocolates were always wrapped..?? Oh!Had never thought about tht! But cant run from the people as they go for a bloody hand shake. AAARRRRRRRRGGGGGGGGGGGHHHHHHHHHH!!! 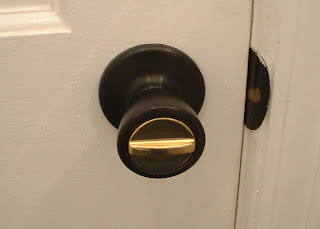 Have any such dope on door knobs in banks??? **only a meagre 4% of the entire loo going population wash and dry their hands as a part of their post-loo process. however wut makes that Researcher think that that 4% of loo-going population is only in the IT industry? LOL! Suddenly I feel a touch of loo everywhere. About a dozen people sit on my chair, use my keyboard, mouse et al. Man! You shouldn't have blogged on this topic.